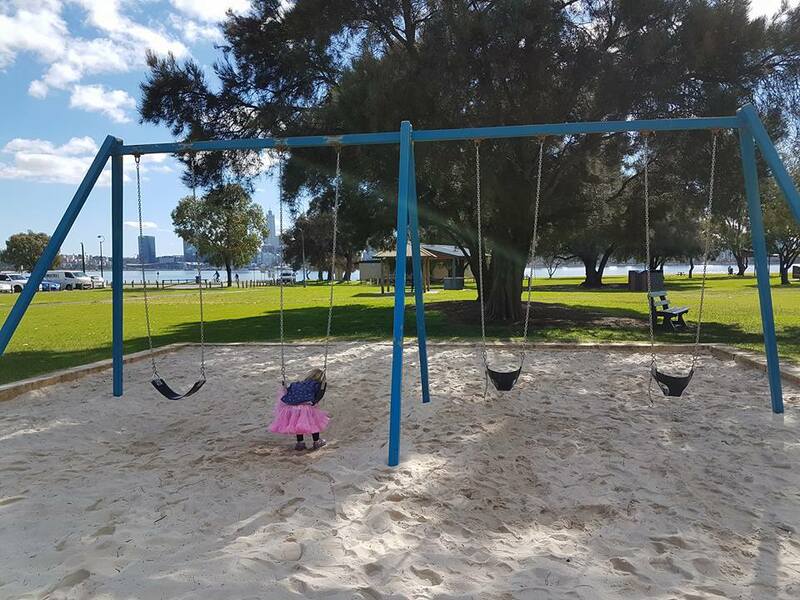 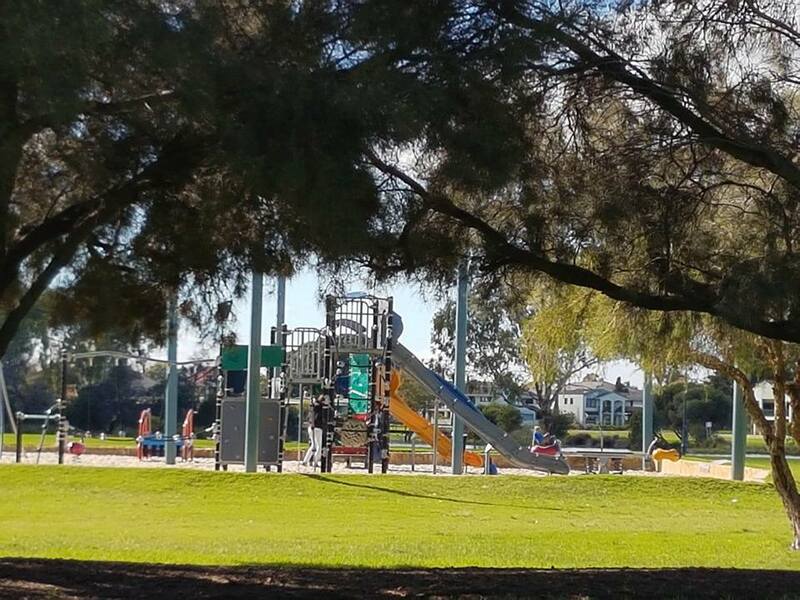 Coode St Jetty playground is on the South Perth foreshore. 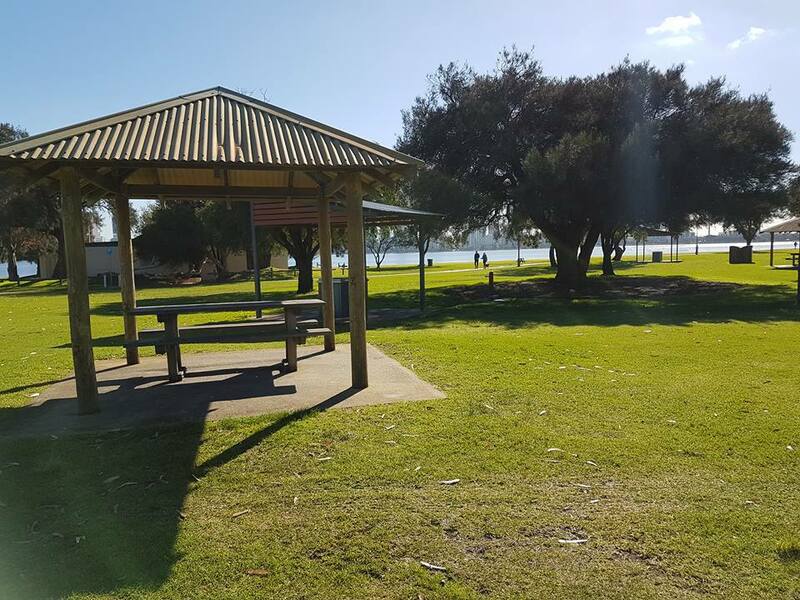 It’s the perfect spot for a family picnic, BBQ or just a play as it’s got parking available has plenty of open space, BBQ facilities, shaded picnic tables, is close to the Boatshed Cafe for lunch or coffee and has toilets nearby. 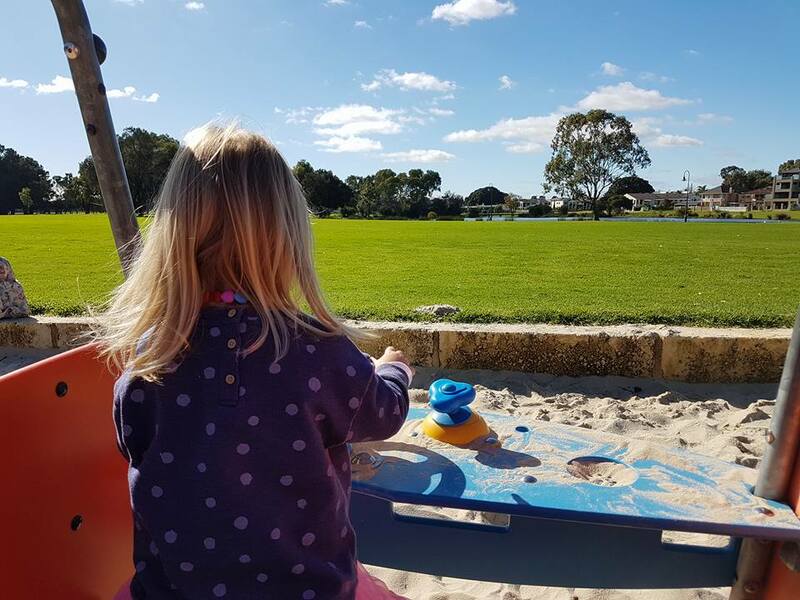 The playground is sand based and is fully covered by shade sails in summer months. 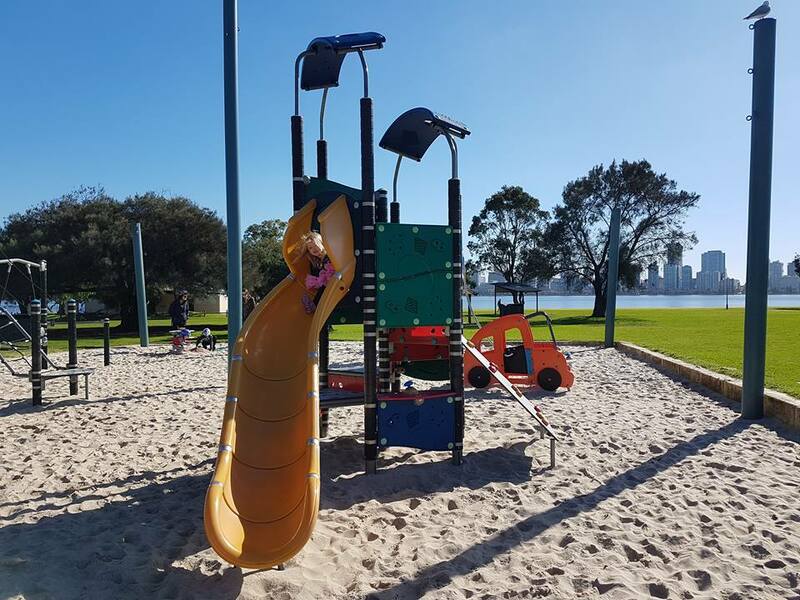 It is a good playground for different ages as it has separate play equipment for younger children and older children. 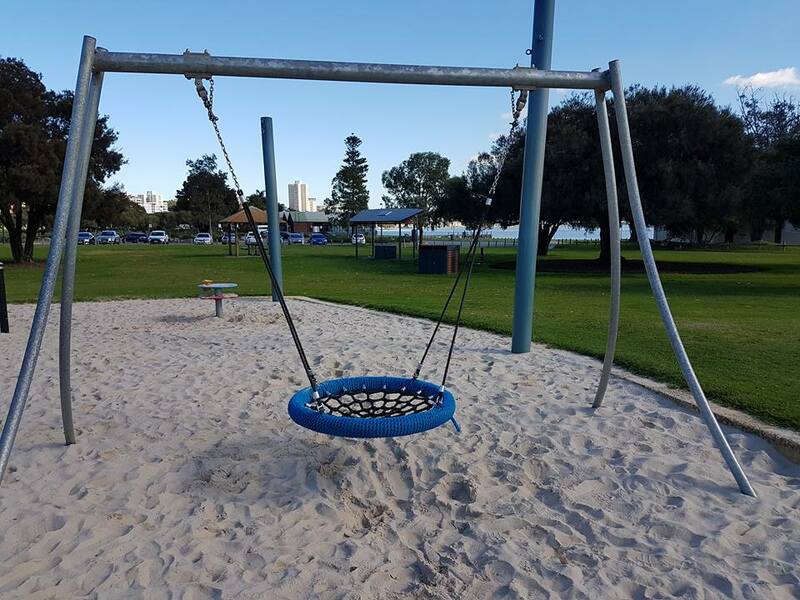 In a little separate area, there is a set of four swings – two toddler swing and twin normal swings. 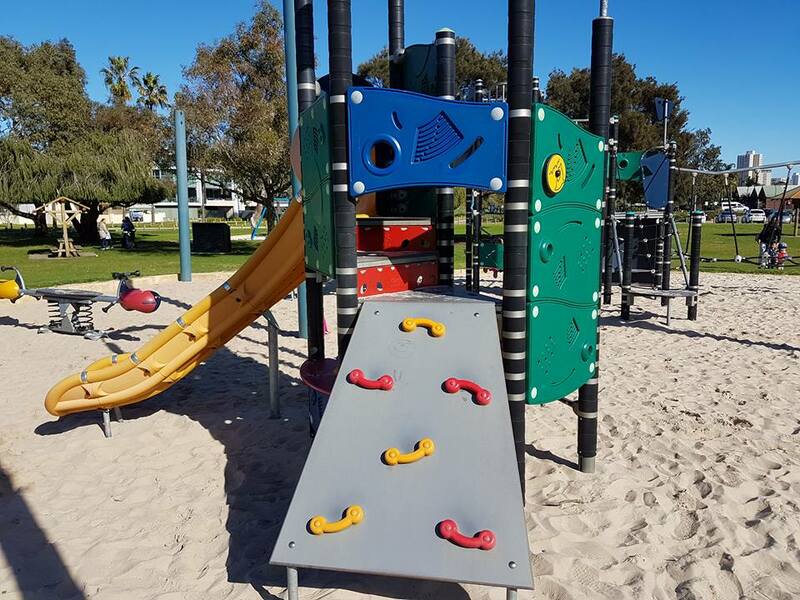 These are also sand-based and are shaded by trees. 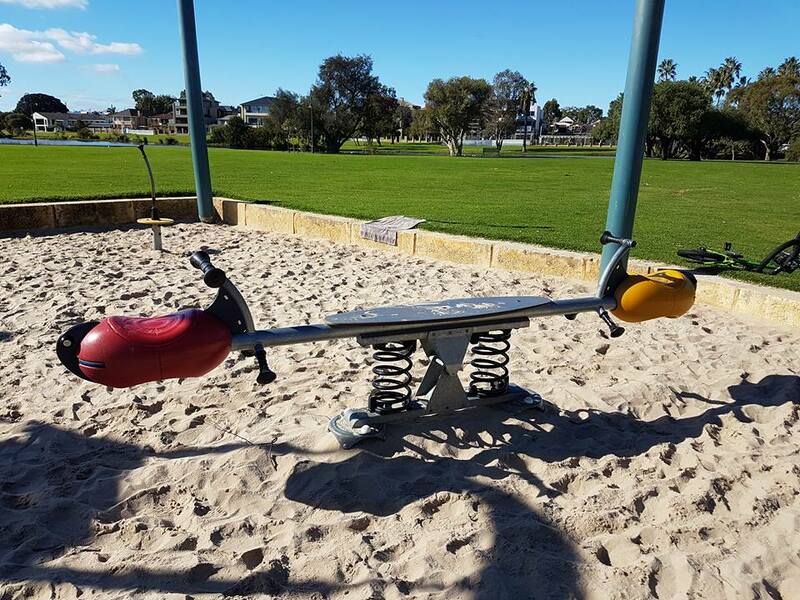 The playground has a range of equipment including two climbing structures, slides, birds nest swing, see saw, little car and sand play and more. 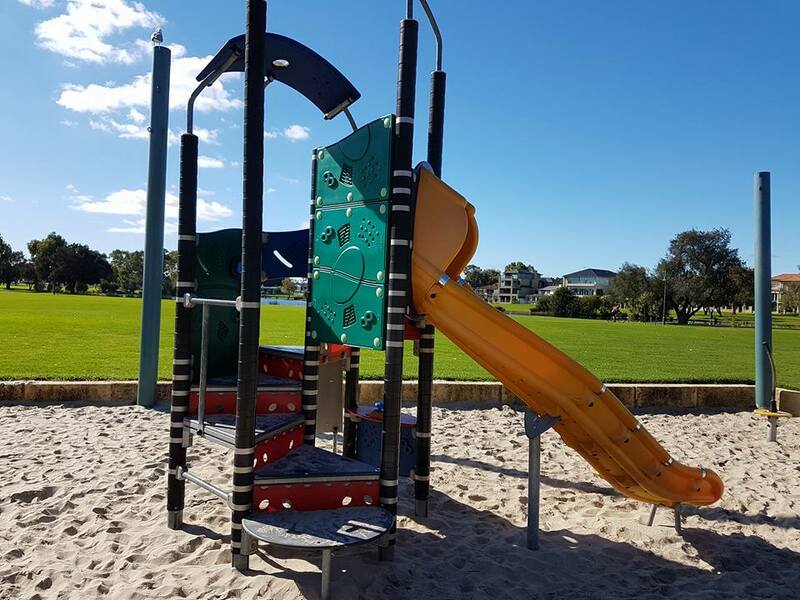 The structure geared to the younger children has a slide and a small climbing wall. 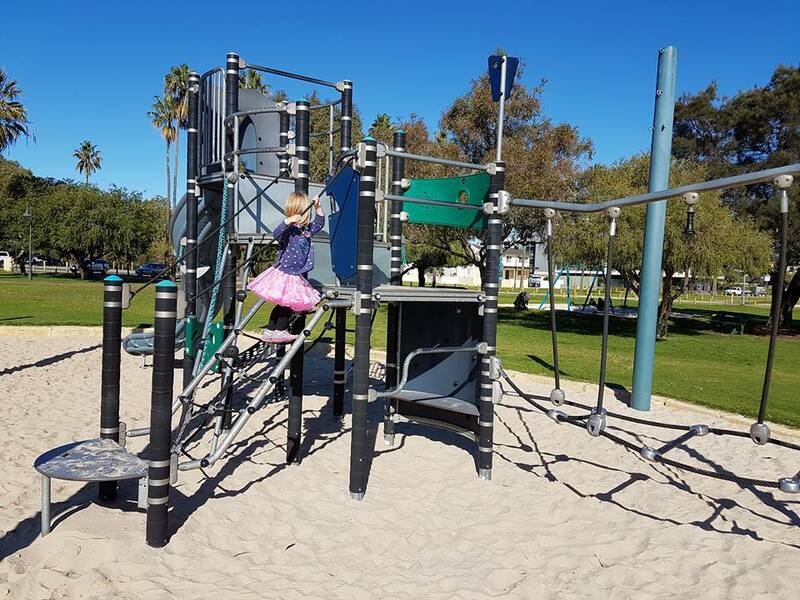 There is an area under the structure for play a well. 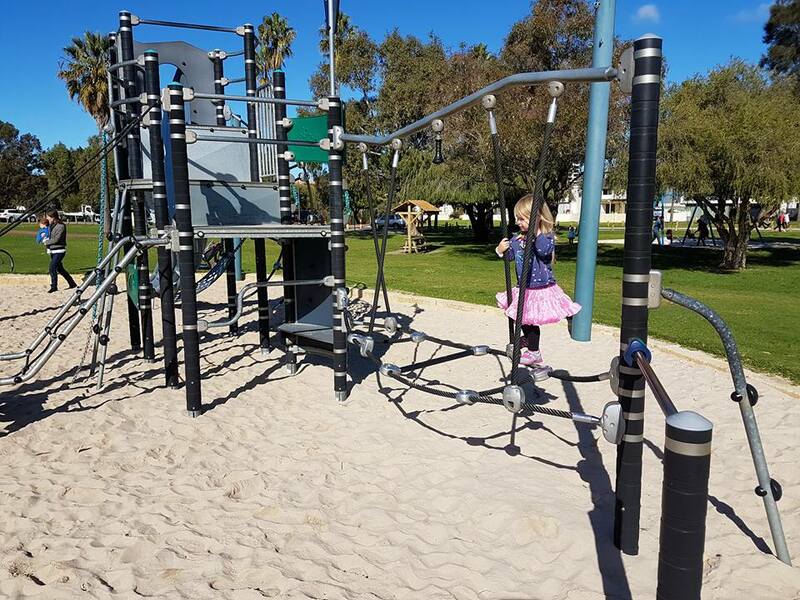 The other play structure is more suitable for older children as it has climbing ropes that take a little more skill. 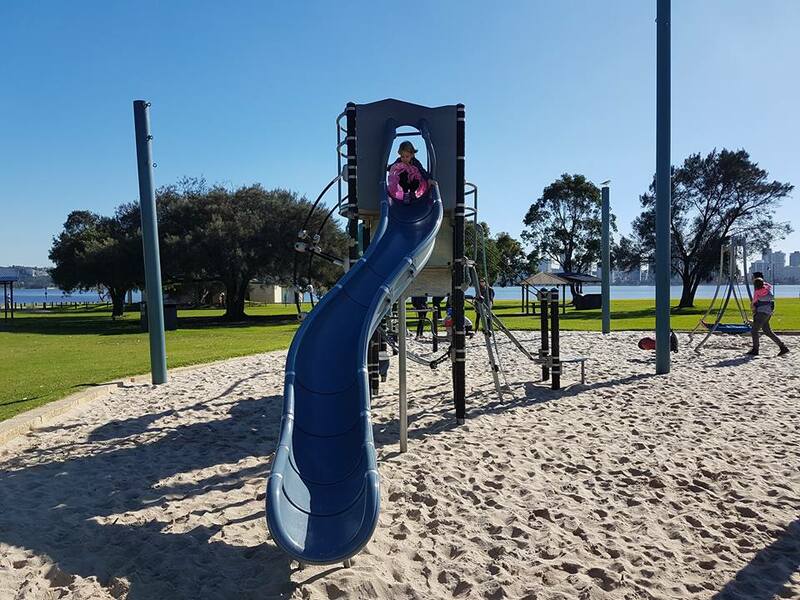 It has a large slide, climbing wall, rope climbing and swinging hammock among its features. 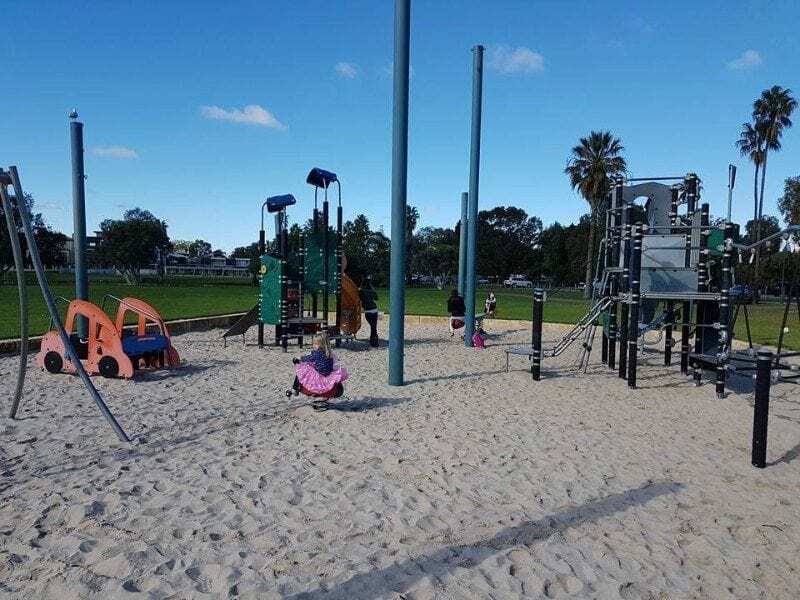 The playground is surrounded by open green grass which is perfect for ball games and running. 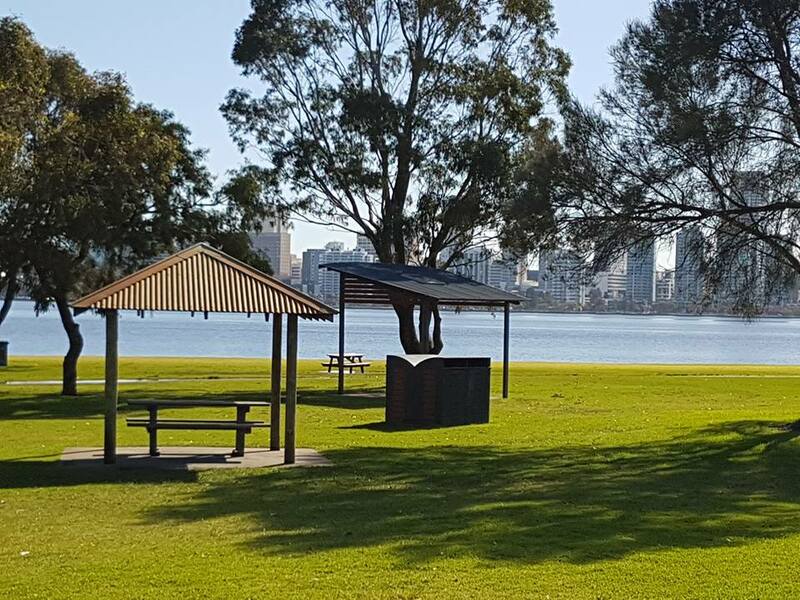 There is also a number of mature trees around which you could put a picnic rug under, or make use of the shaded picnic tables provided. 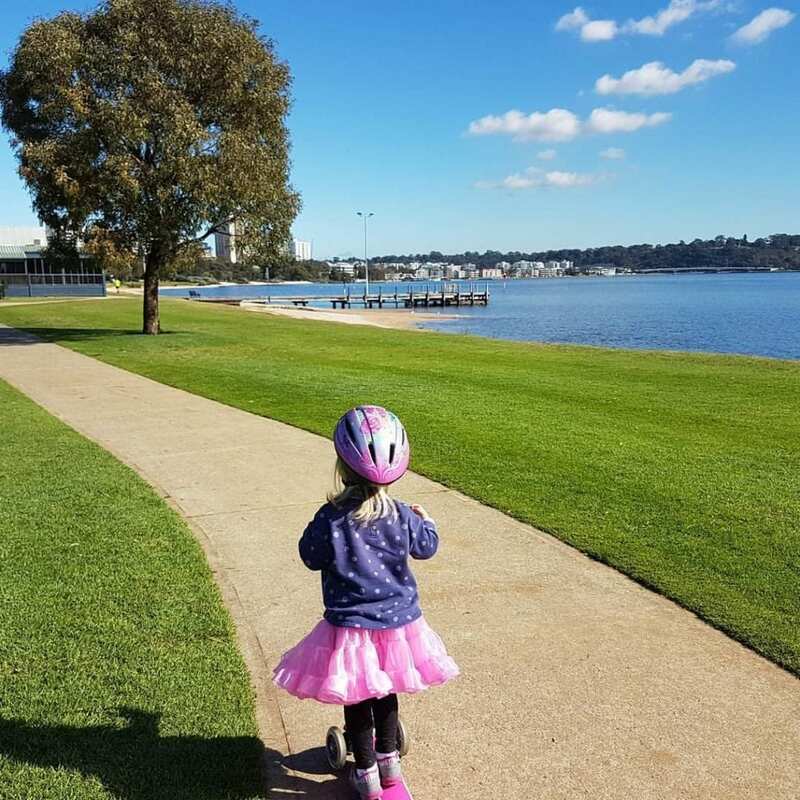 And of course, there are the beautiful city views to enjoy too. 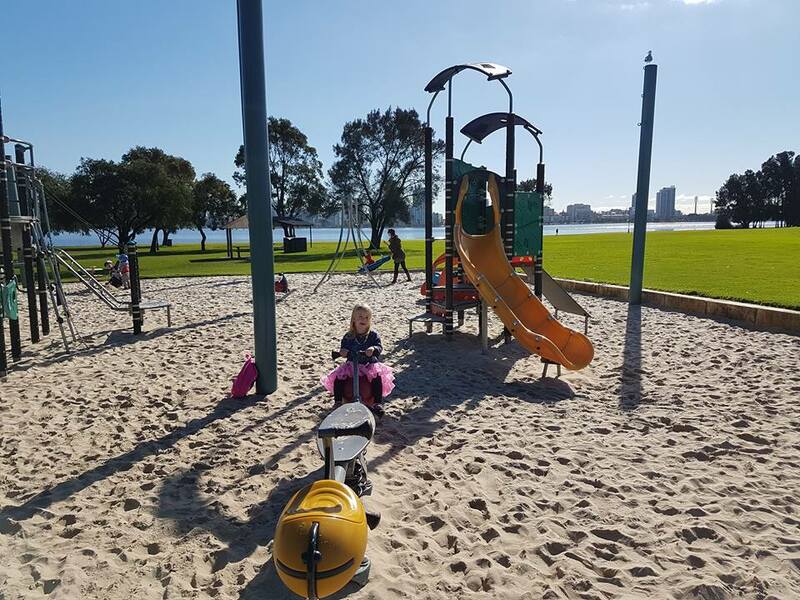 You could combine your playground visit with a walk or ride along the river on the bike paths provided. 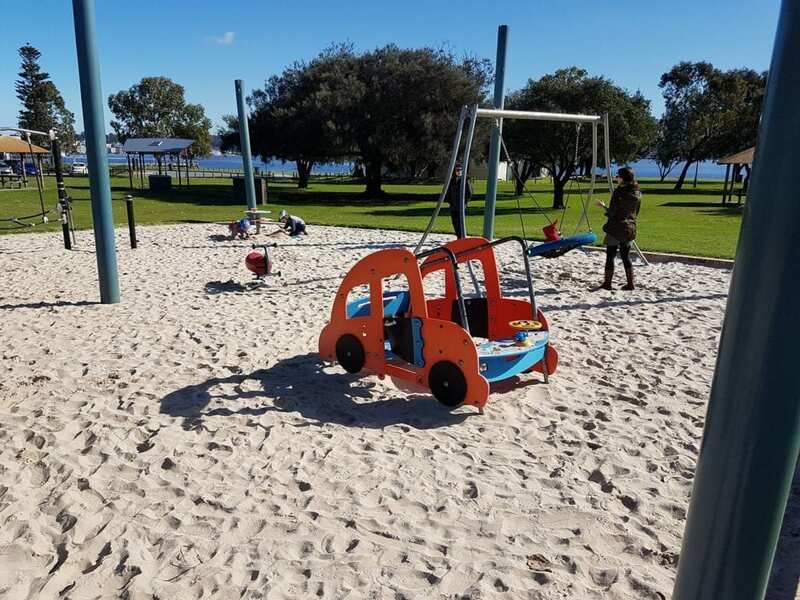 A short walk from the car park is the Boatshed restaurant and kiosk where you will also find public toilets.